Most people purchase property from the open market or from the developer. But there’s a lesser known avenue at which you can also buy property from, and possibly at lower prices – property auctions. Major auction houses such as Colliers International, Edmund Tie & Company, JLL and Knight Frank hold regular monthly auctions, which are typically attended by a hundred people or so. However, not everyone at an auction is there to snap up properties at bargain prices. Such events are also regularly attended by property agents and bankers who are looking to introduce the auctioned properties to their clients. Why are properties put up for auction? Most properties being sold at auctions are there because the owner of the property is unable to fulfil his or her obligation in financing the property. Often, properties are put up for auction to fetch the best price possible for the property at the shortest possible timeframe. Apart from an auction, banks may also go into private treaty to offload the property. 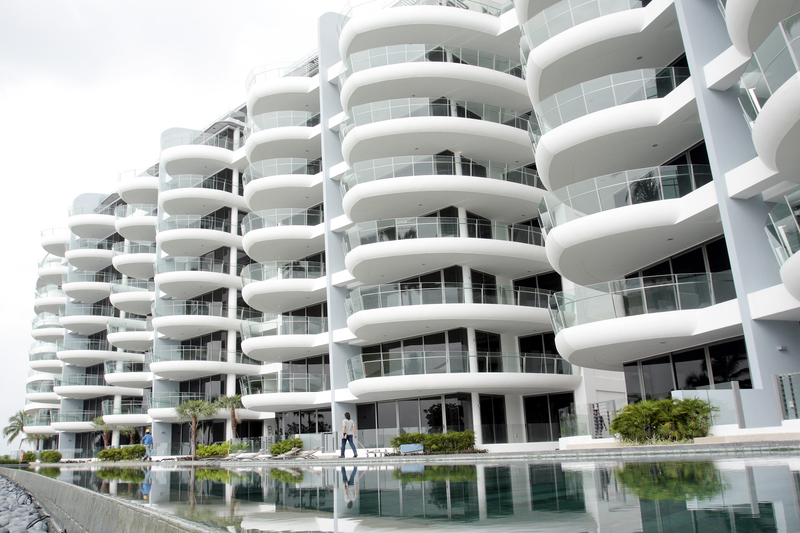 In February, a four-bedroom unit at Seascape at Sentosa Cove was sold at a $6.6 million loss – the biggest loss ever to be recorded at the upmarket seafront housing district. For instance, the highest loss-making property last year - a four-bedroom unit at Seascape at Sentosa Cove - was put up for mortgagee sale at an auction in January 2017 at an opening price of $6.8 million but did not find a buyer. It was subsequently sold at $6.2 million ($1,524 psf), by private treaty on February 7. However, not all properties that are put up on auction are distressed sales or mortgagee sales. Some owners may be putting up their properties at an auction as an added avenue to market their property – these are known as owner’s sales. Properties put up for auction surged by 21.7% year-on-year (y-o-y-) to 454 listings (including re-listings) in 1H2018 – the highest level recorded since 2H2009, Colliers revealed. According to its Flash report – which tracked transactions and listings in the property auction market in Singapore – listings from all sectors rose on a y-o-y basis during the period, with the exception of the industrial segment where listings fell by 1.1% to 87.